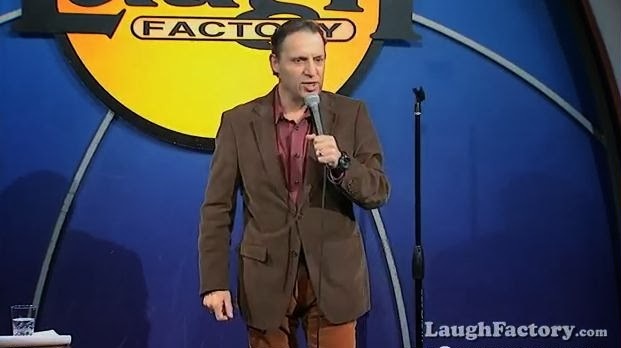 Comedian/Actor/Writer Mark Schiff has headlined in all the major casinos and clubs across the country and has appeared many times on both The Tonight Show with Jay Leno and Late Night with David Letterman. He has had both HBO and Showtime specials, and has been the featured act at the Montreal Comedy Festival. He has written for and guest starred on Mad About You, as well appearing on Empty Nest and serving as a writer on The Roseanne Show. Over the last four years we have featured Mark on Jewish Humor Central as a stand-up comedian and in his roles as interviewer of Jewish day school children and asking UCLA students questions about Israel. We lost track of him for awhile but rediscovered him in a YouTube stand-up routine that he performed at The Laugh Factory in Hollywood. As a true believer in the idea that " Everyone is rich at the Dollar Store" I loved this. Very funny - I loved it! And I agree that "everyone is rich at the Dollar Store."